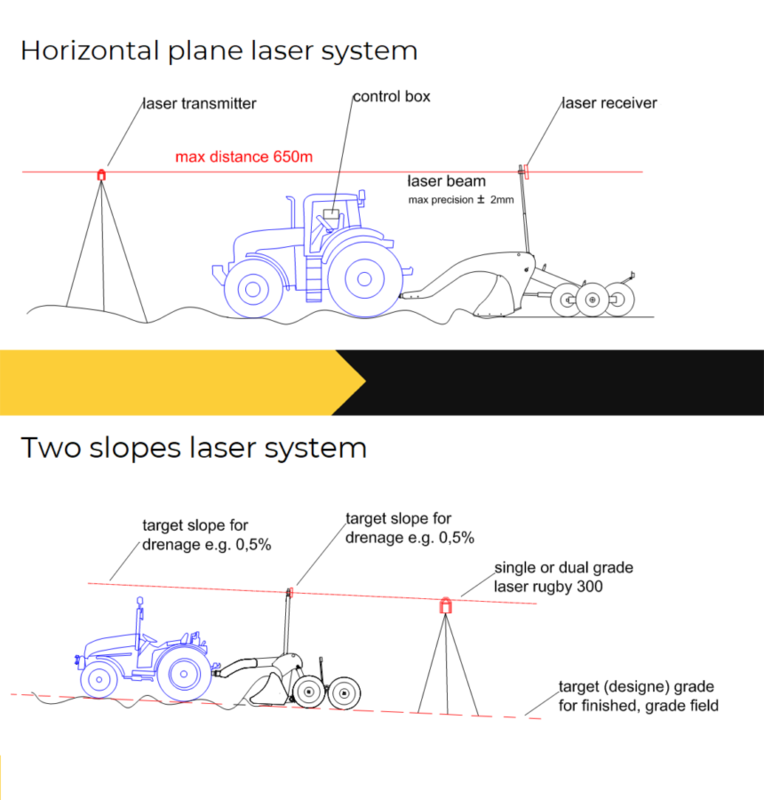 Laser levelers MARA: here is how they work! 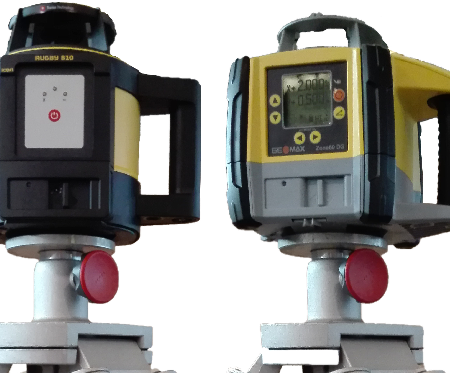 The laser levelers Mara are formed by three components represented by the machine that works the soil, by a transmitter and a receiver of the laser beam. In particular, the grader is mounted the receiver which receives the laser signal emitted by a transmitter placed on top of a tripod, with the objective of achieving a correct leveling floor. In the late 70s laser technology was made available to the market, which permitted focused and very bright linear light beams. This allows for, even at distances of several hundred meters, a powerful light beam that is readable yet very small. The use of a particular rotating crystal pentaprism, which brings out the incoming laser beam at exactly 90°, creates a 360° reference plane. The receiving system picks up the signal and, through leveling, reproduces the plane created by the laser transmitter onto the ground. The latter is placed on a tripod at a height above the tractor cab, so there are no obstacles between the transmitter and the laser receiver. Modern laser transmitters are self-leveling, as they automatically find the horizontal plane. You can also set floors with 1 or 2 slopes, and the laser beam can control the machines up to a distance of approximately 650 meters. 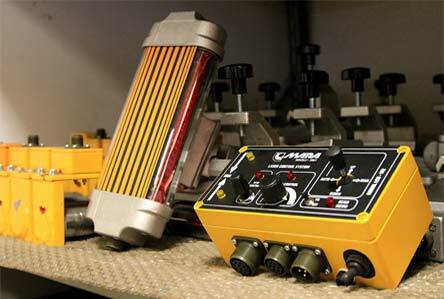 MARA does not produce the laser transmitter, but the MARA levelers work with all systems on the market. The receiver is the component that reads the laser light that the transmitter emits. This is done via special photodiodes sensitive to light. Leveler machines must be able to move across the ground in different directions in relation to the terrain (excavation areas and carry); for their operation demands a precise receiving apparatus that is sensitive and able to read the 360° signal. MARA produces a laser receiver that, thanks to the particular technology, is able to read and use weak signals, and is insensitive to external disturbances. 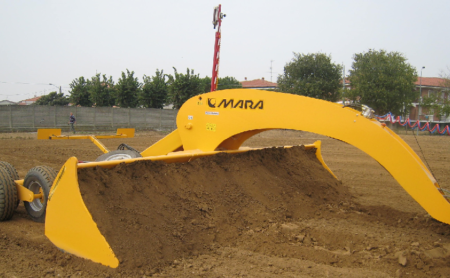 The pairing of the receiver with the MARA control box optimizes system operation through the wind noise correction functions, automatic recovery of the laser signal in case of signal loss, and tractor power control, all unique MARA features. In addition to these, there is the standard function of the automatic blade control for the implementation of the desired plane. Through the plane created by the laser transmitter and picked up by the receiver, the machine can be properly controlled to level the soil. The particular geometry of the project and the hydraulic cylinders/solenoid valves, which are managed by the control box, ensure that the blade will rise and fall correctly to achieve the desired level with an accuracy of ± 2 mm.